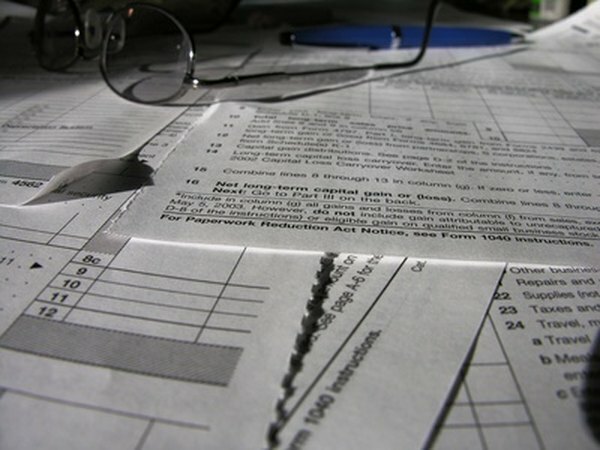 Exemptions and credits work in different ways to cut your taxes. 1. If I Didn't File My Taxes Will I Get My Child Tax Benefits? 2. What Can Give You a Refund Even With No Tax Liability? 3. What Are Refundable Vs. Non-Refundable Tax Credits? The U.S. income tax code provides tax credits and tax exemptions that can reduce your taxes. The particular credits and exemptions available to taxpayers vary widely, depending on their particular circumstances. Credits and exemptions work in different ways to save you money. The essential difference between tax credits and tax exemptions is that an exemption -- like other deductions -- reduces your taxable income, whereas tax credits directly reduce your tax bill dollar for dollar. For example, suppose you are in the 25 percent tax bracket and you have a 5-year-old child. You can claim a $3,800 exemption for that child, which reduces your taxable income by $3,800, which in turn reduces your taxes by $950 -- that is, by 25 percent of $3,800. You also probably qualify for a child tax credit of $1,000 for that same child, which will directly reduce your taxes by $1,000. In this case, a $3,800 exemption is worth less to you than a $1,000 tax credit. Tax credits are worth far more to U.S. taxpayers than exemptions. In 2010, the most recent year for which comprehensive IRS income tax filing data are available, tax credits lopped $111.8 billion off Americans’ personal income taxes. American taxpayers in 2010 claimed 288.9 million exemptions, which cut their taxable income by $1.05 billion. Tax exemptions are granted to you simply for having been alive during the tax year. You get one exemption for yourself, another for your spouse and one additional exemption for each of your dependents. A spouse or dependent who died during the tax year still counts as an exemption, as does a child born during the tax year. As of 2012, each exemption represents $3,800 subtracted from your taxable income. For instance, a husband and wife who have three dependent children can subtract a total of $19,000 from their taxable income. You may or may not receive any tax credits, depending on your circumstances. For example, many families with dependent children are eligible for the child tax credit of up to $1,000 per qualifying child. Congress subsidizes higher education through college tuition credits such as the American Opportunity Credit of up to $2,500 and Lifetime Learning Credit of up to $2,000. To obtain credits, you must meet the qualification requirements specified for each credit. Most credits can only reduce your tax bill to zero but some, such as the earned income credit, are refunded to you even if you don’t owe any taxes. Tax Policy Center.org: What’s The Difference Between Tax Deductions and Tax Credits? Can Someone Who Hasn't Worked Get a Tax Refund?